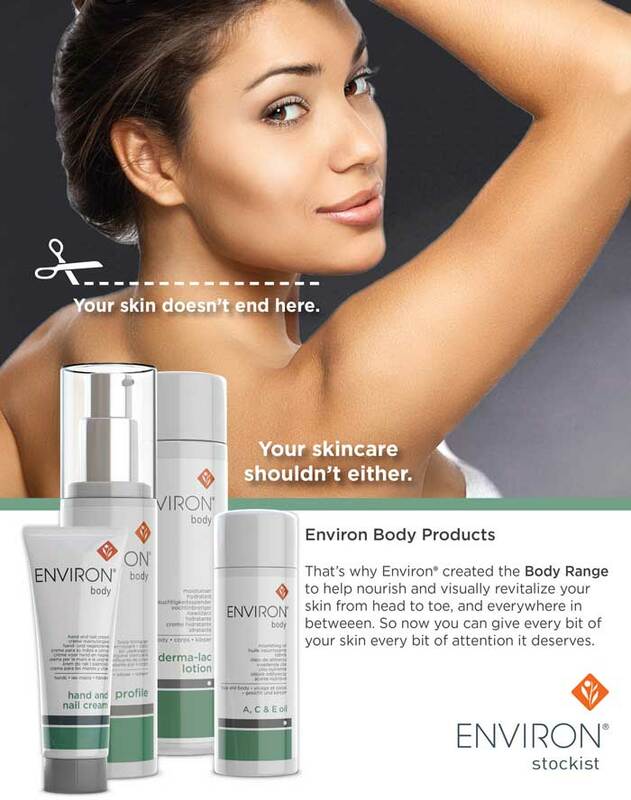 Discover the power of Environ. 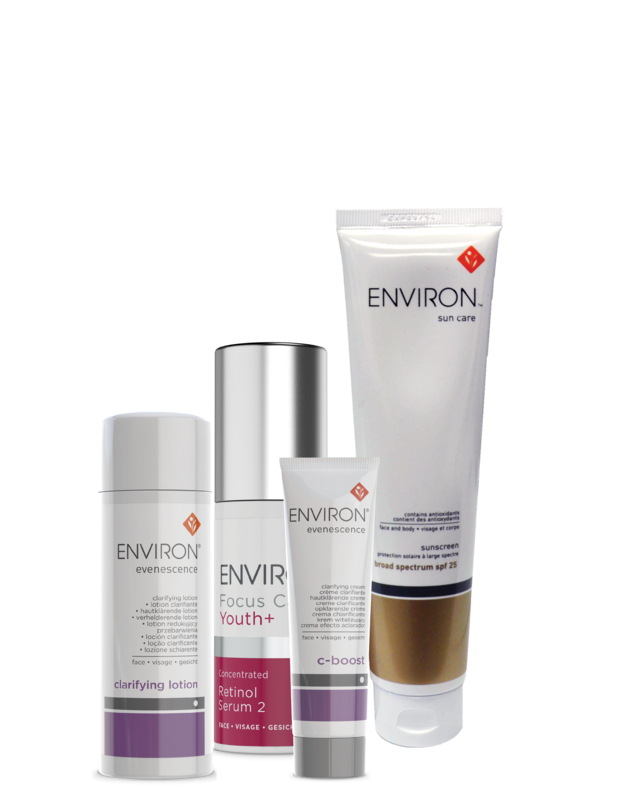 Sign up to become an Environ VIP Club Member today. 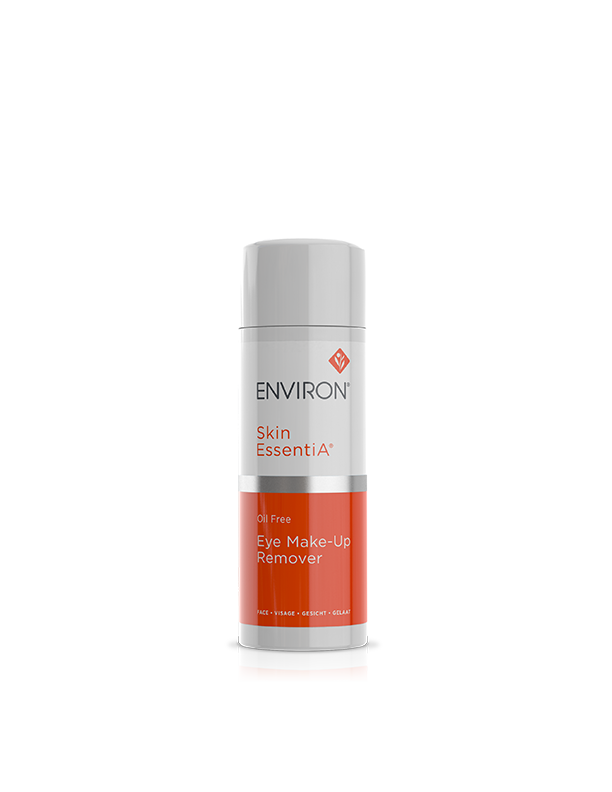 Oil Free Eye Make-up Remover expertly and gently removes non-waterproof make-up and leaves the skin feeling moisturized and refreshed. 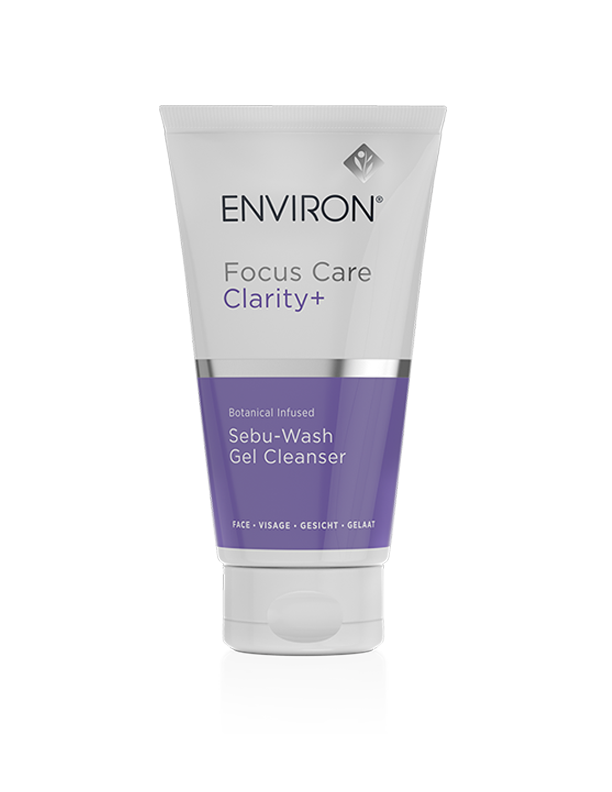 It contains effective emollients that assist in moisturizing the skin while cleansing – giving it a soft, luxurious, velvety after-feel. 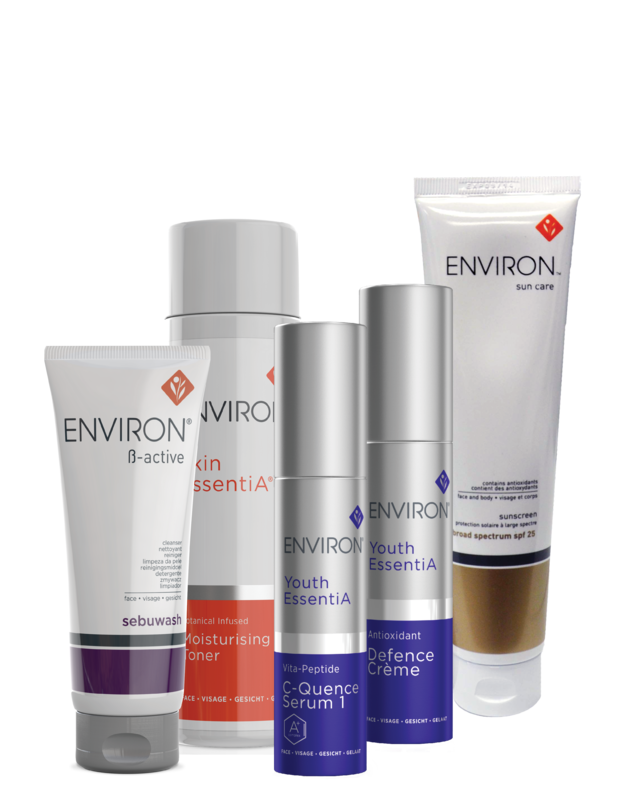 Pre-cleanse and cleanse the skin with your preferred Environ products. Moisten cotton wool with Botanical Infused Moisturising Toner before applying to face and neck. It contains several moisturizers including Panthenol as well as Sodium PCA and Sodium Lactate which occur naturally in the skin. 4 x 5.5 ml/0.18 fl oz. 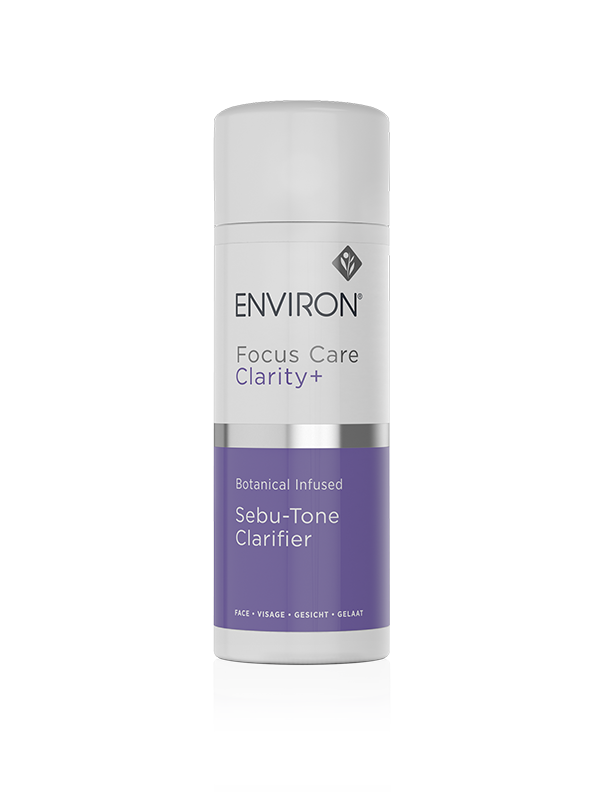 Environ Classic is the 3rd step in Environ’s advanced vitamin step-up system and features a moderately high concentration of vitamins A , C and antioxidants. 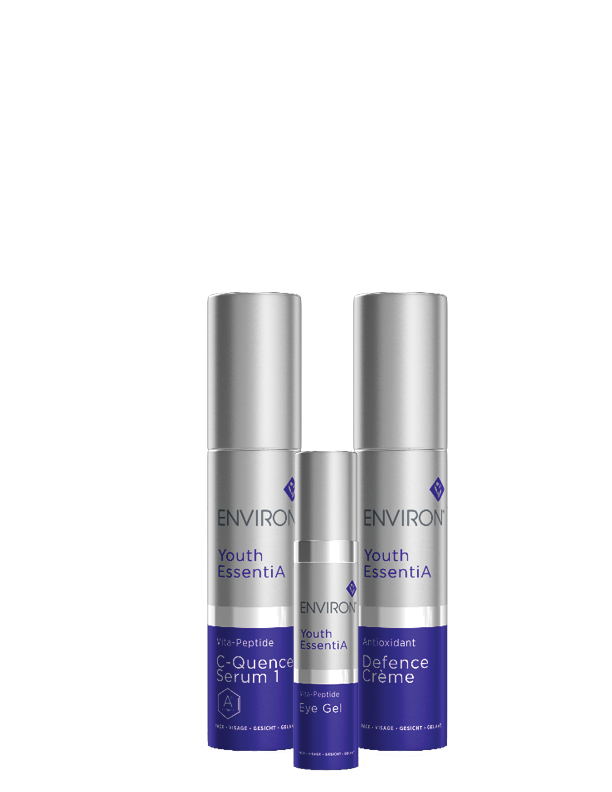 Available in both a Day & Night version, this unique blend of active ingredients leaves your skin feeling refreshed and revitalized – with a more youthful appearance. 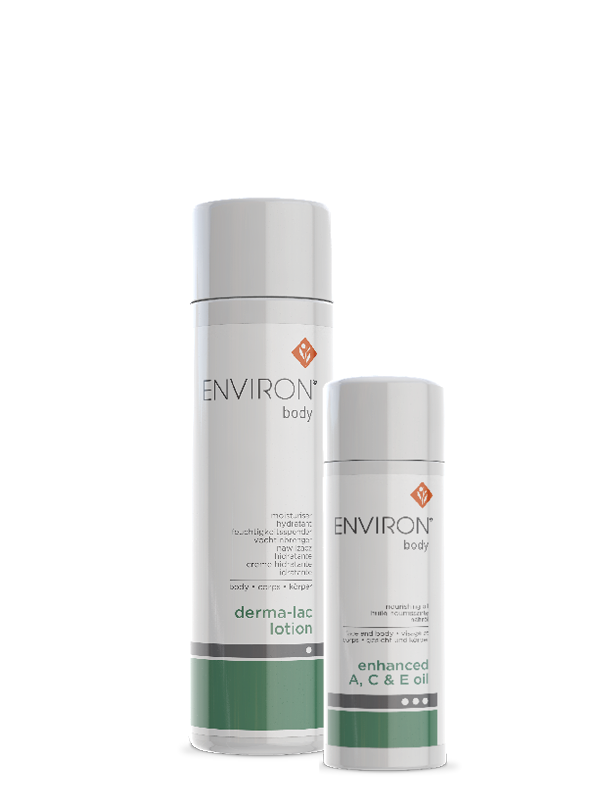 Apply derma-lac lotion followed by your recommended Environ vitamin A product. 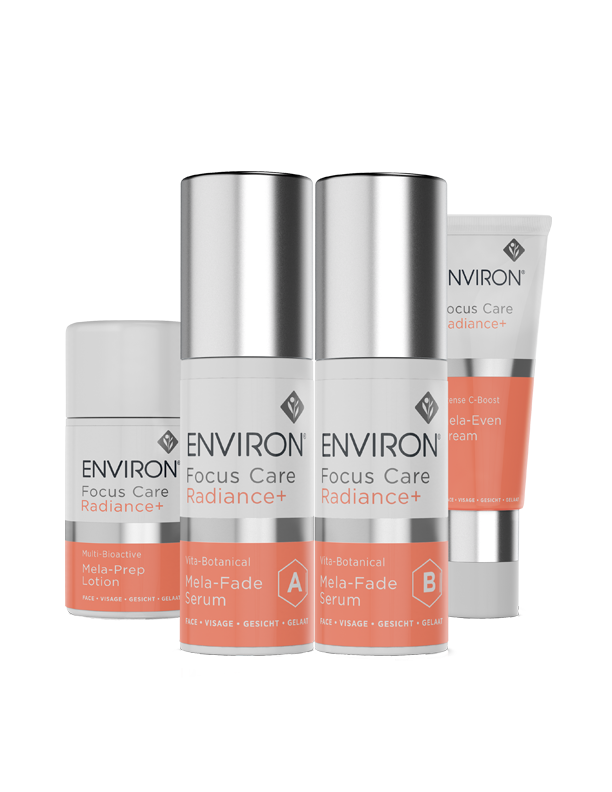 Apply your preferred Environ sunscreen when exposed to the sun. Use morning and / or evening. Best results occur when applying either A, C & E body oil or enhanced A, C & E body oil over derma-lac lotion. 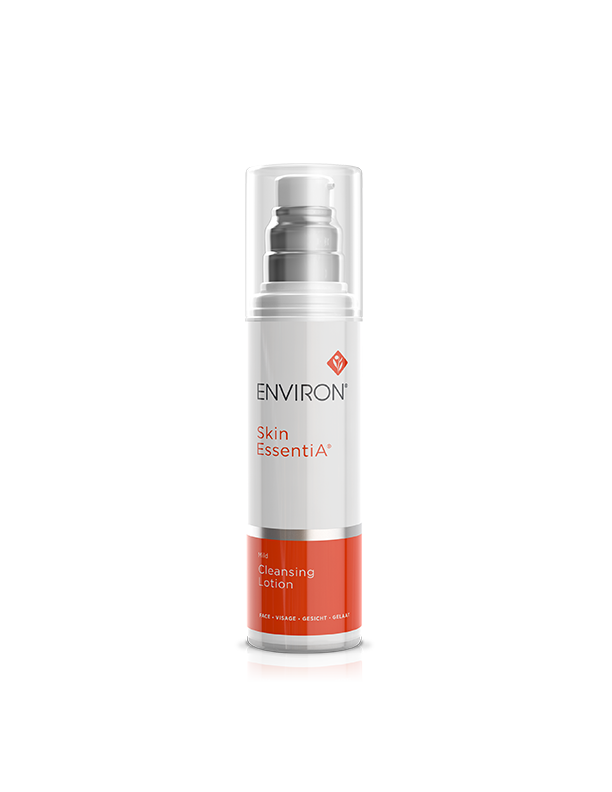 This product contains Alpha Hydroxy Acids that may increase your skin’s sensitivity to the sun in particular the possibility of sunburn. Use a sunscreen, wear protective clothing, and limit sun exposure while using this product and for a week afterwards. 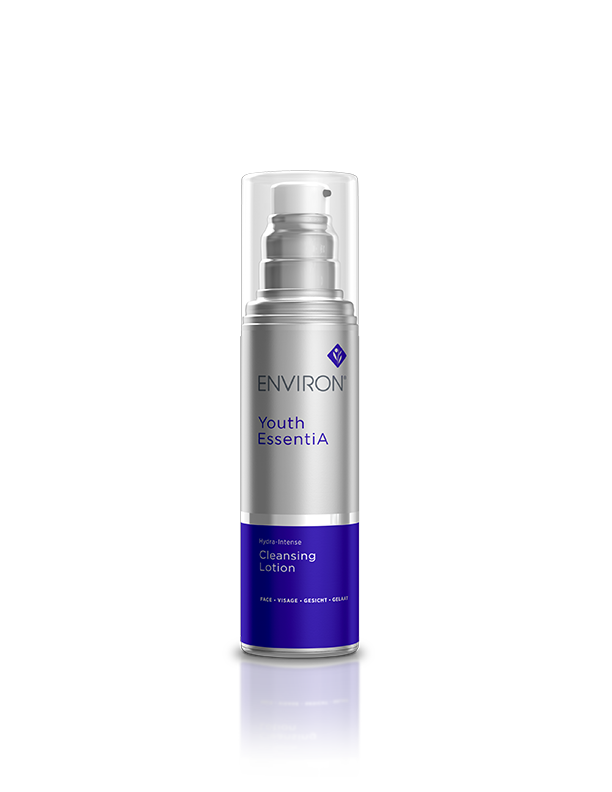 Helps to energise tired looking skin giving it a healthy, radiant appearance. 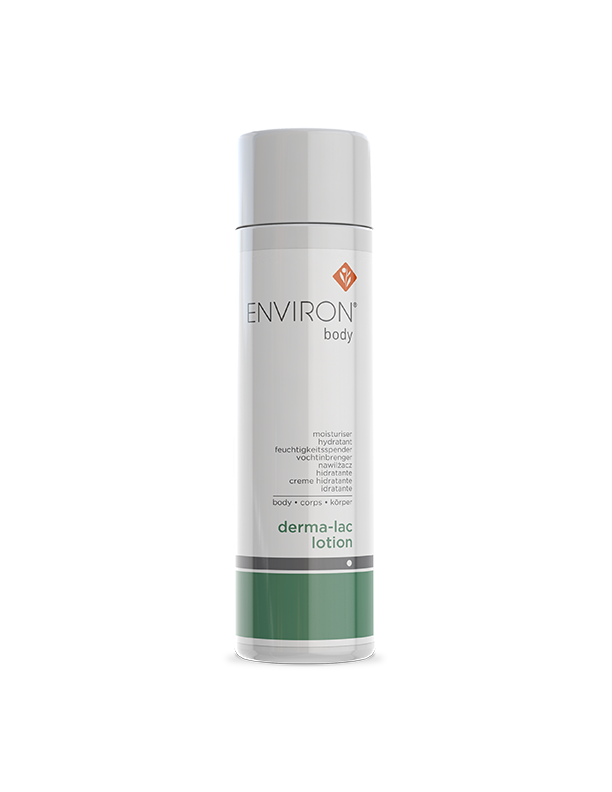 Apply in a thin layer to the entire body twice a day after a shower or bath; massage into the skin and follow with your preferred Environ sunscreen when exposed to the sun. Best results occur when applying derma-lac lotion first, followed by a, c & e body oil. This body sculpting gel contains plant extracts that assist in firming and conditioning the appearance of an uneven skin texture. 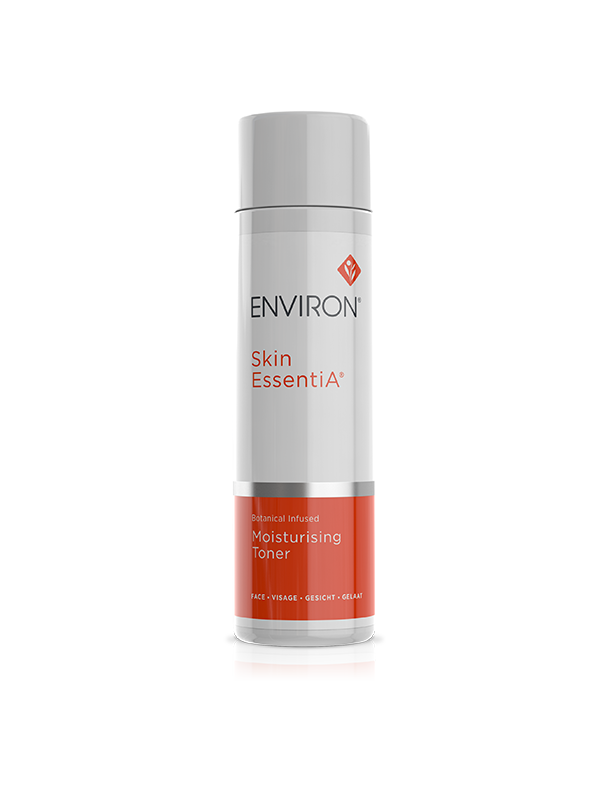 Regular use helps to maintain a smoother more resilient looking skin. In the shower one would stimulate areas of concern with the body Mitten, increasing blood flow to the area. 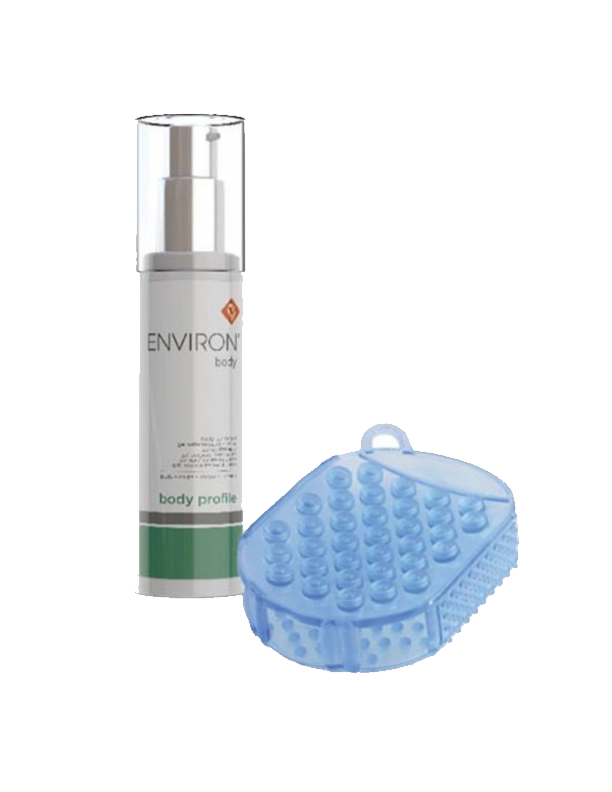 Then apply the body profile gel thereafter for Enhanced effects. 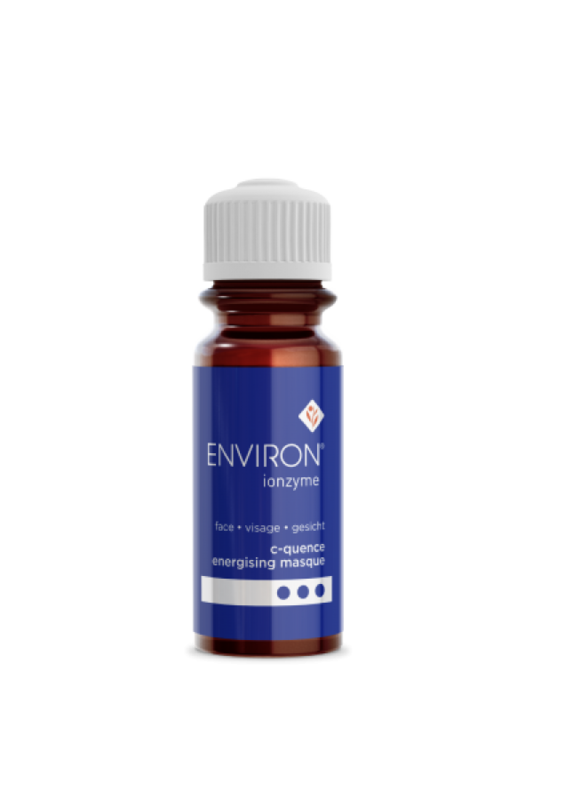 Apply liberally after a bath or shower and then follow with your preferred Environ body products. 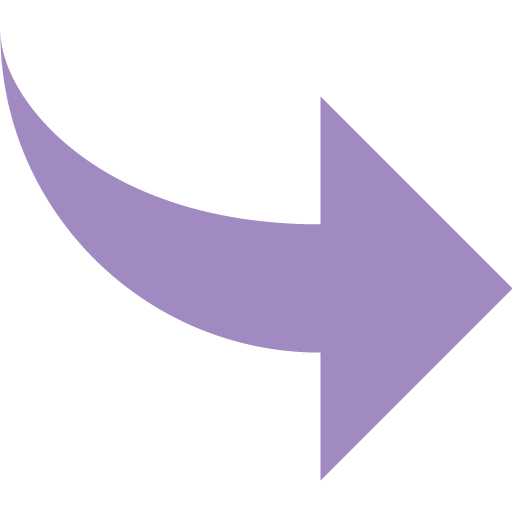 Apply to the focus areas i.e. thighs, buttocks, upper arms and stomach, morning and evening. Assists in firming the appearance of the skin tone leaving the skin looking more supple and youthful. Assists in refining the appearance of skin tone. 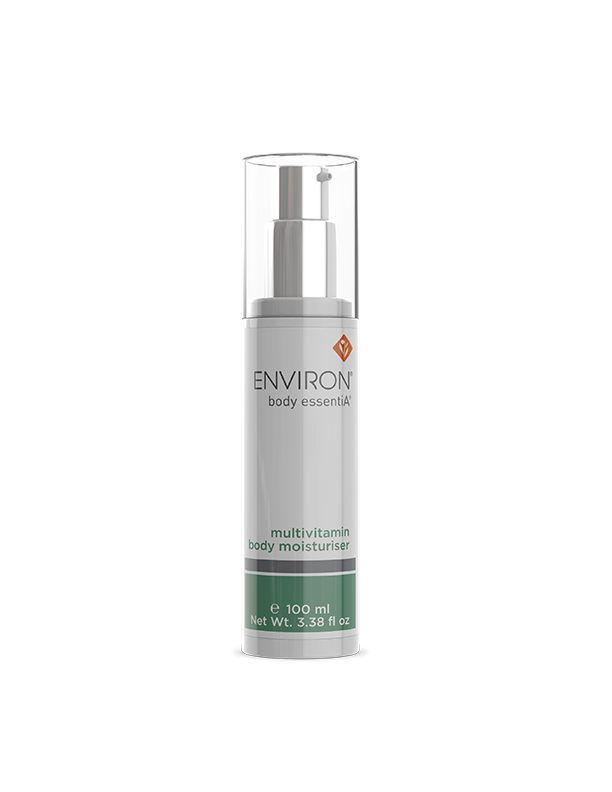 This luxurious, vitamin-enriched body lotion contains a high concentration if vitamins A, C, E and antioxidants. 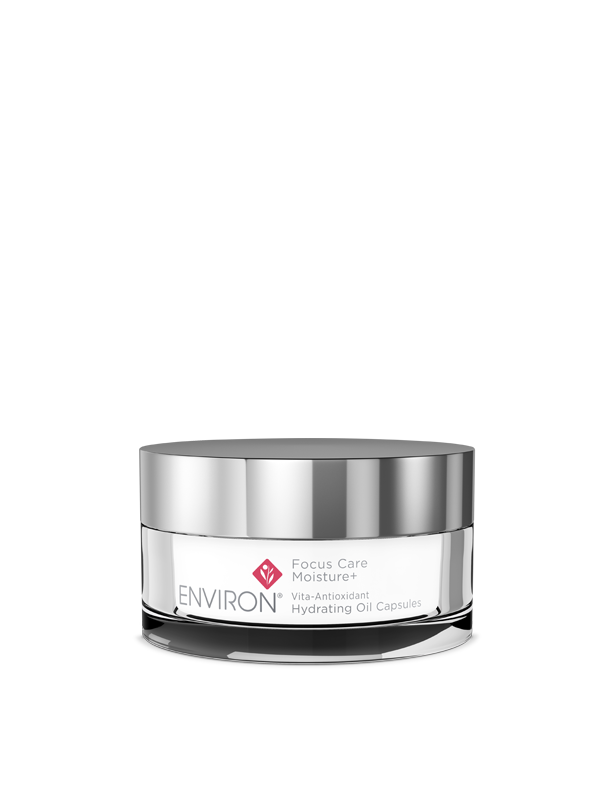 It helps to ease the feeling of dryness and improve the appearance of sun damage, resulting in radiant, healthy-looking skin. Apply generously over the whole body especially to exposed areas of the body, including hands, arms, décolleté, legs and feet. Use morning and/or evening. 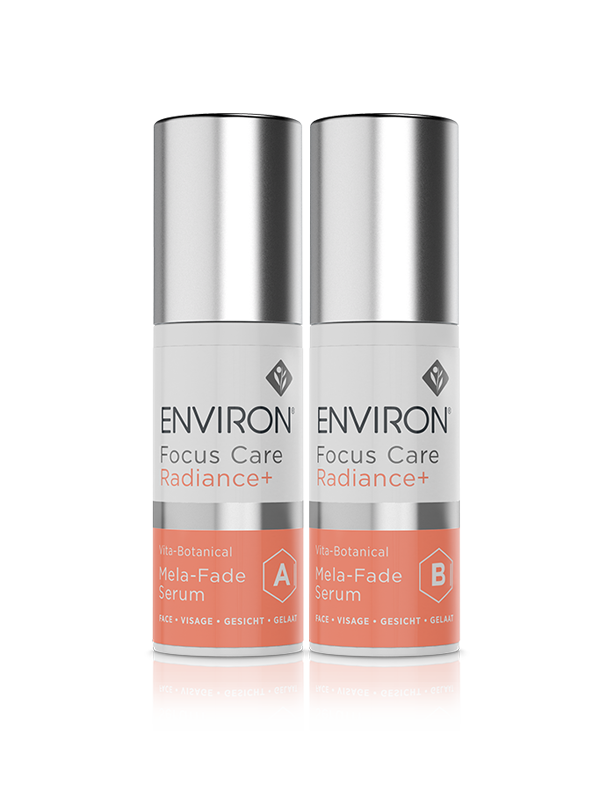 When applied in the morning, follow with your preferred Environ sunscreen when exposed to the sun. Use Multivitamin Body Moisturiser on its own or together with Derma-Lac Lotion for an intense moisturizing experience all over the body. This product may not be available in some countries due to certain regulatory requirements. 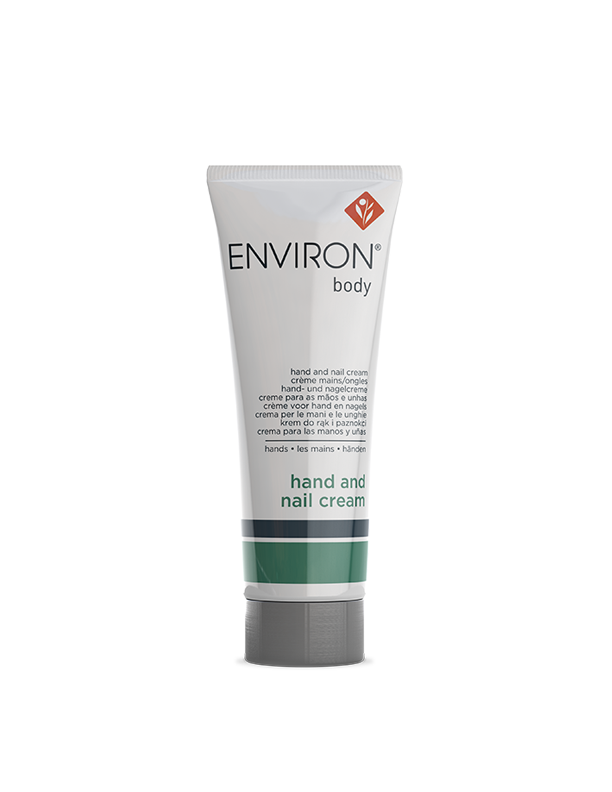 May be used as a vitamin enriched hand cream to help improve the appearance of the skin on the back of the hands and forearms. Appropriate for all skin types, especially for those who are concerned about the appearance of dry skin, uneven skin tone or texture. 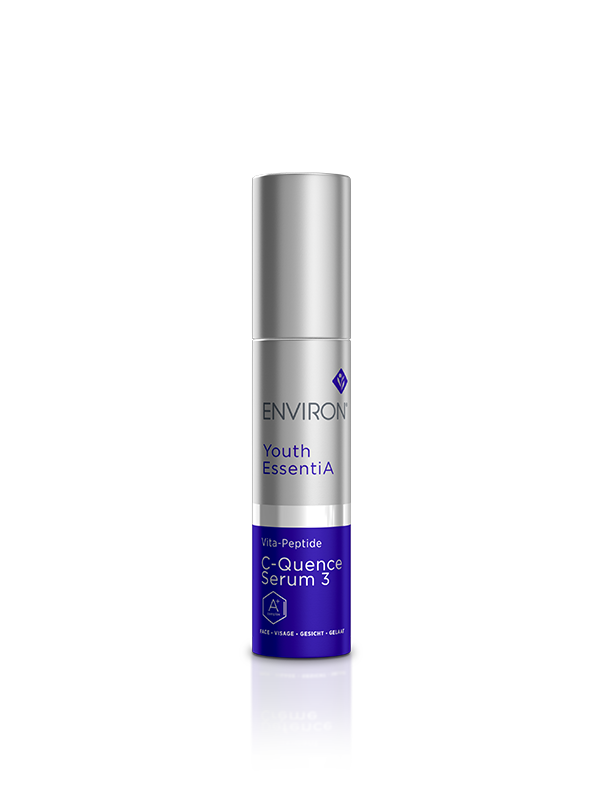 Topical vitamin A has been scientifically proven to help restore the effects of vitamin A reserves required for a variety of anti-aging processes. Vitamin A assists in making healthy-looking skin, with the appearance of hydrated, mattified, even toned, smooth texture. 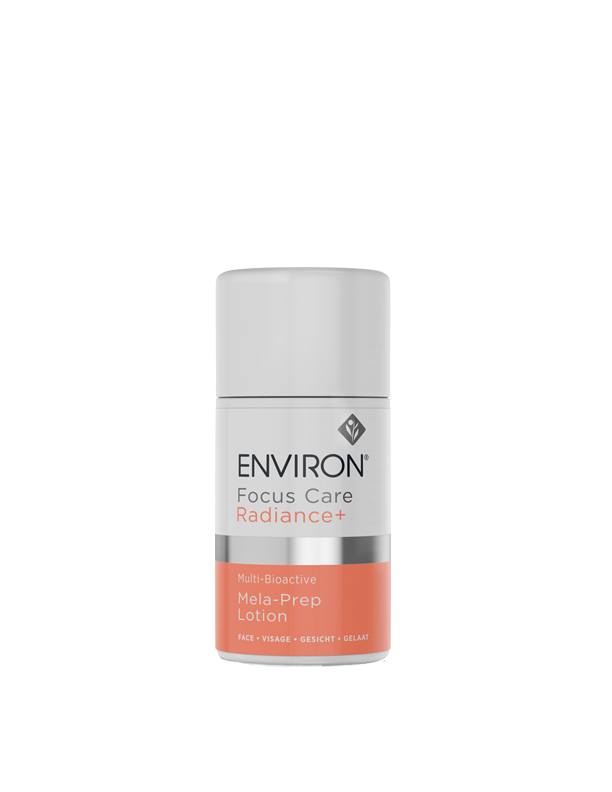 Retinyl Propionate is a gentle ester form of vitamin A that leaves the skin feeling revitalized and looking younger and healthier with a radiant glow. 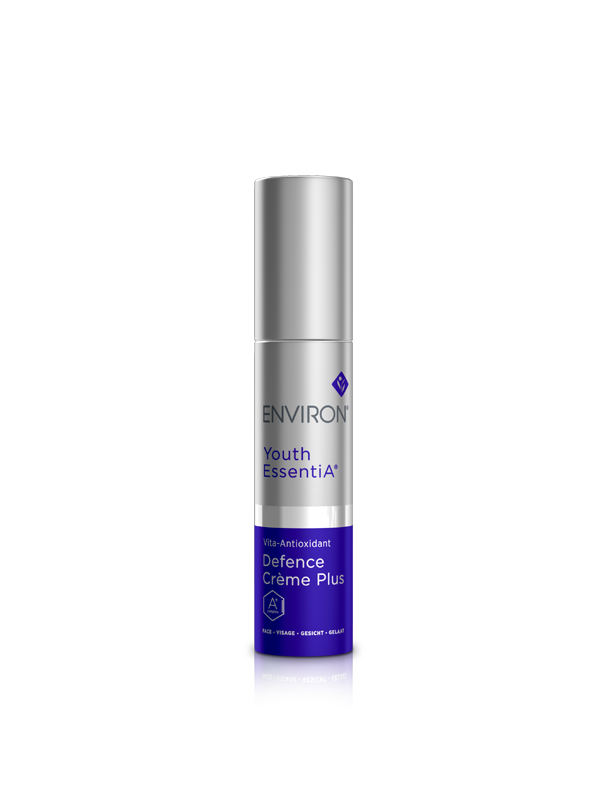 Powerful antioxidant that assists in the prevention of the appearance of UV-induced damage. 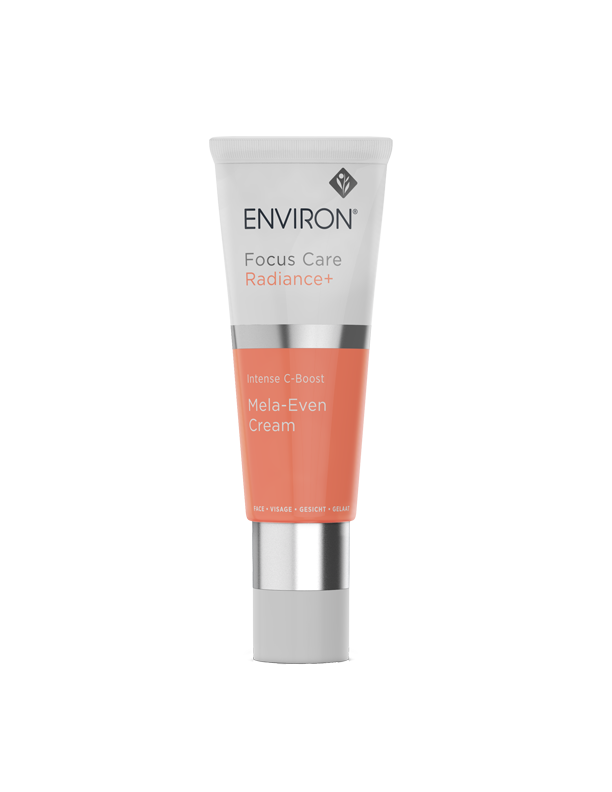 It plays an important role in improving the appearance of uneven skin tone brought on by UVA irradiation. 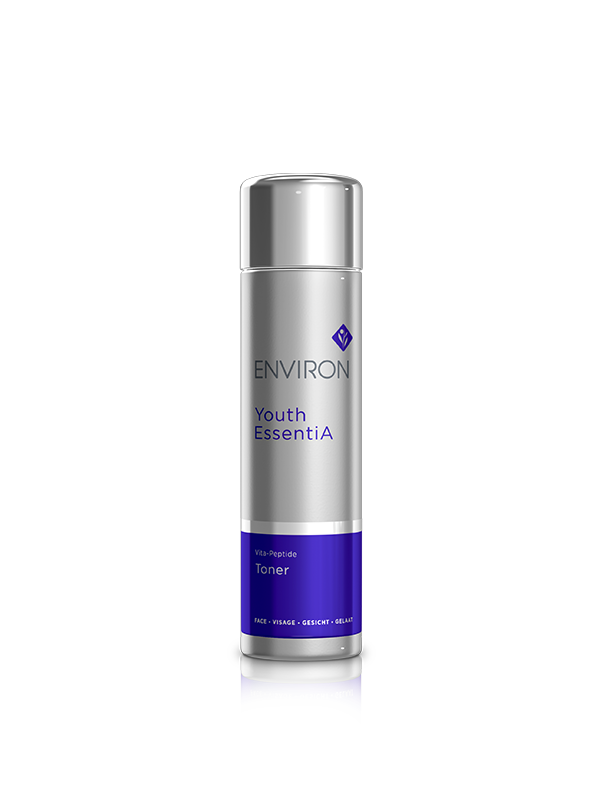 Has anti-aging properties as it assists the skin to look firmer. 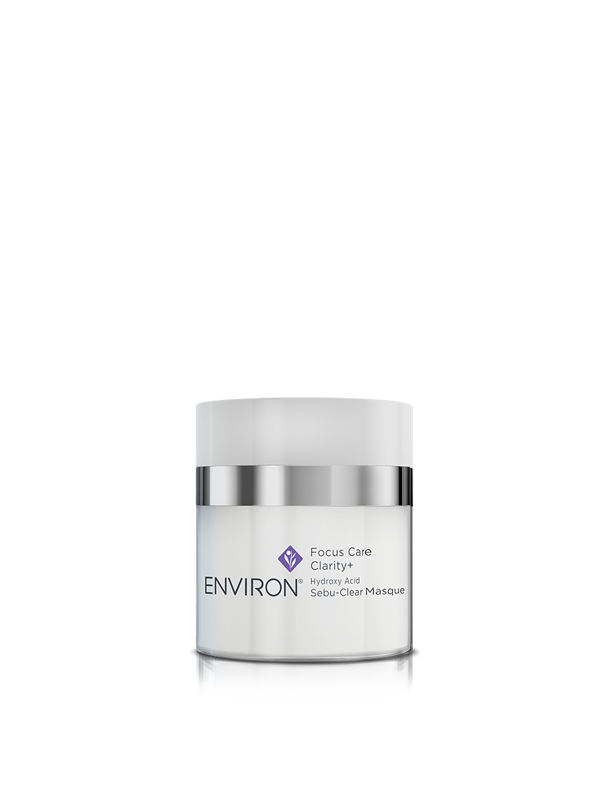 Contains a free radical scavenging system that assists in shielding the skin from the effects of harmful environmental influences. 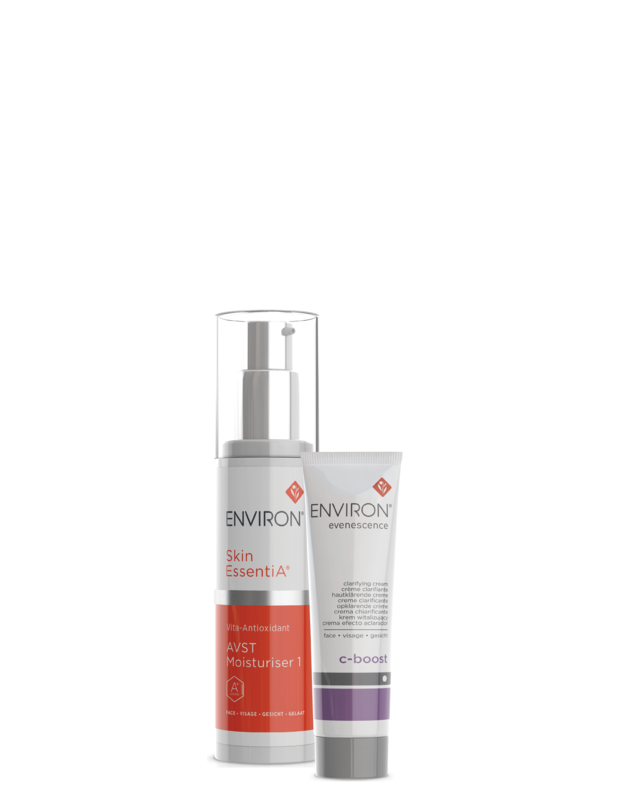 This protecting system includes the following powerful antioxidants: Ascorbyl Tetraisopalmitate, Tocopheryl Acetate, Ascorbic Acid, Beta Carotene and Tocopherol. 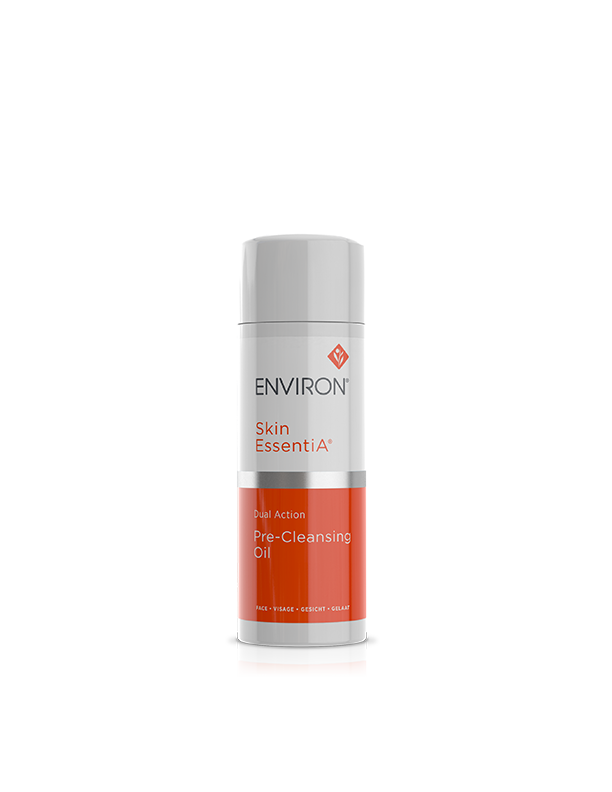 The moisturizing combination of Panthenol and Squalane improves the overall skin feel. Squalane is a plant derived emollient that helps improve the appearance of a firmer skin. 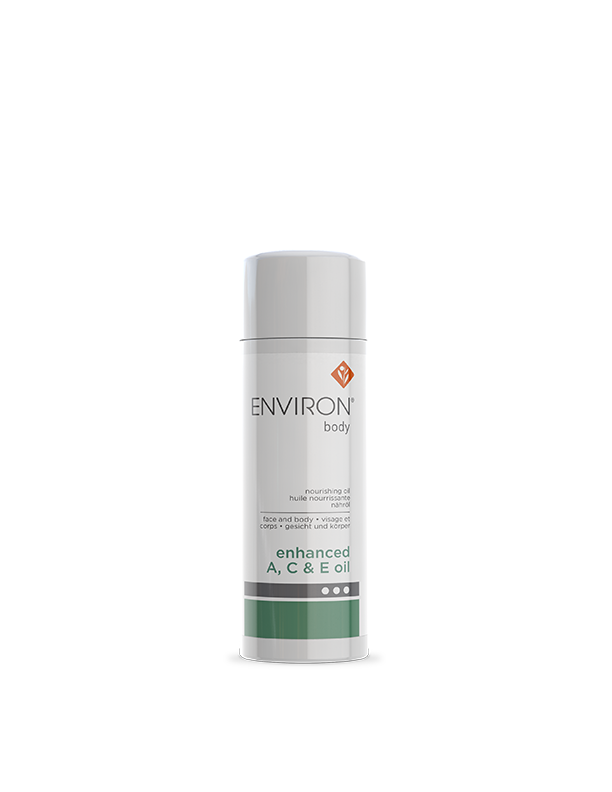 Panthenol (pro-vitamin B5) has been included for its scientifically known hydrating and soothing properties and thereby assists in achieving a supple, smooth appearance of skin texture. Tocopheryl Acetate (vitamin E) helps to quench the effects of free radicals, enhancing the effects of the skin’s natural sun protectors. It also assists in making the skin look younger. Use 2 – 4 bottles per step before progressing to the higher level. 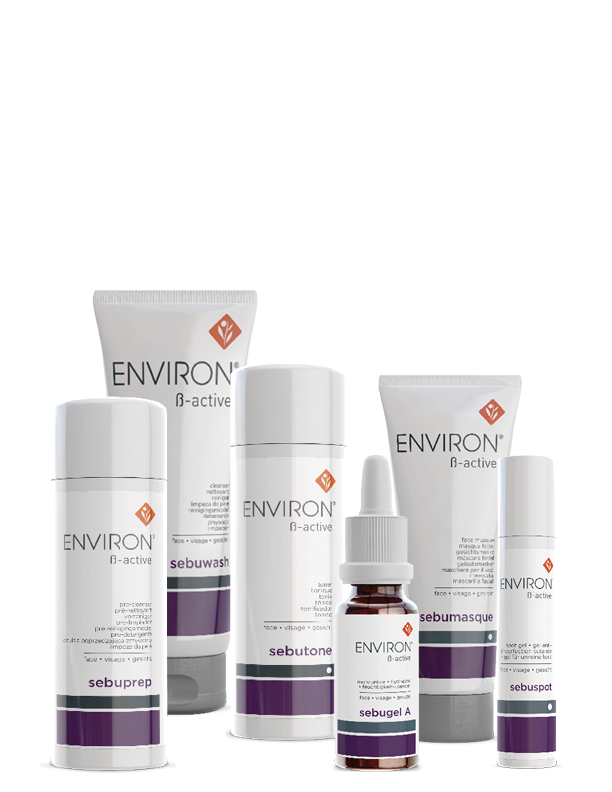 Pre-cleanse, cleanse and tone with your preferred Environ products. 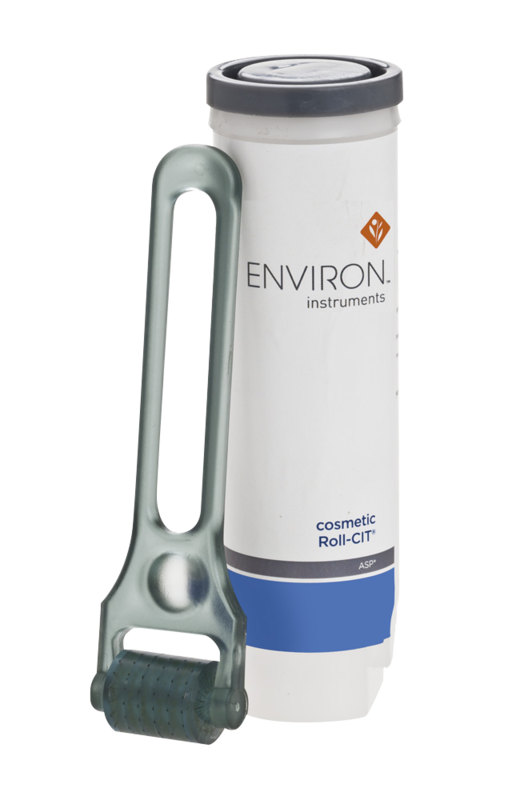 It is recommended to use a Cosmetic Roller, followed by the application of the Avance DFP 312TM cream followed by your recommended Environ Skin Care regime. 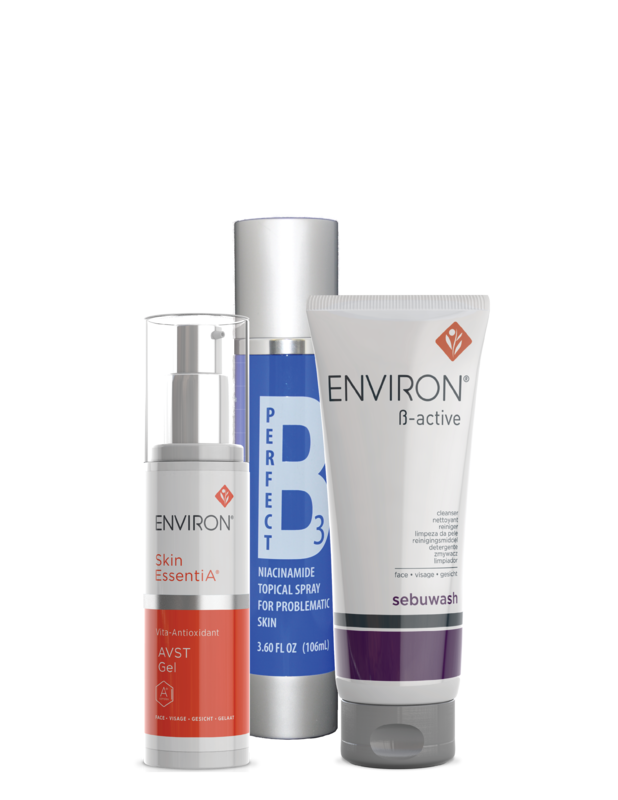 The three peptides incorporated into this delicate, easily absorbed cream are Matrixyl®3000, Trylagen® and Matrixyl® Synthé 6®. Palmitoyl Tetrapeptide-7 + Palmitoyl Oligopeptide (Matrixyl® 3000) is a combination of five natural amino acids and has been included in this formula. Trylagen® is a combination of peptides and proteins proven to restore the look of firmer skin which characterizes a youthful-looking skin. Hydroxypropyl Cyclodextrin + Palmitoyl Tripeptide-38 (Matrixyl® Synthe’6®) assists in smoothening the look of wrinkles and the skin appears plumper. 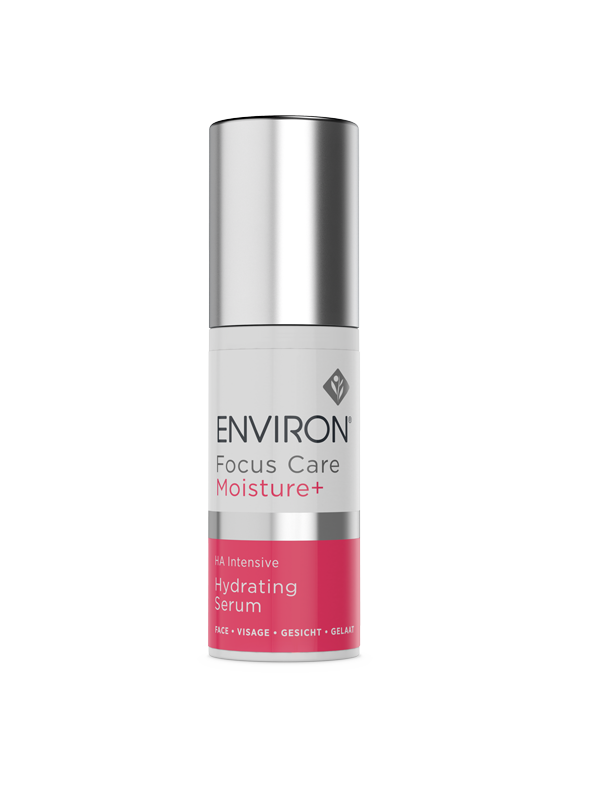 Based on the scientific evidence of the raw material this product is excellent for improving the appearance of the skin, improving the look of tone and elasticity as well as improving the appearance of hydration of the skin. The skin appears smoother, radiant looking. Squalane is a plant derived emollient which moisturizes and improves the look of elasticity of the skin. Squalane also lends a satin soft after feel to the product. Sodium Hyaluronate (Hyaluronic Acid) is a mucopolysacharide that exists naturally in all living creatures. It can hold up to 1000 times its own weight in water and is known to play a vital role in the aging process once levels are depleted in the skin. It helps to improve the look of a hydrated skin. 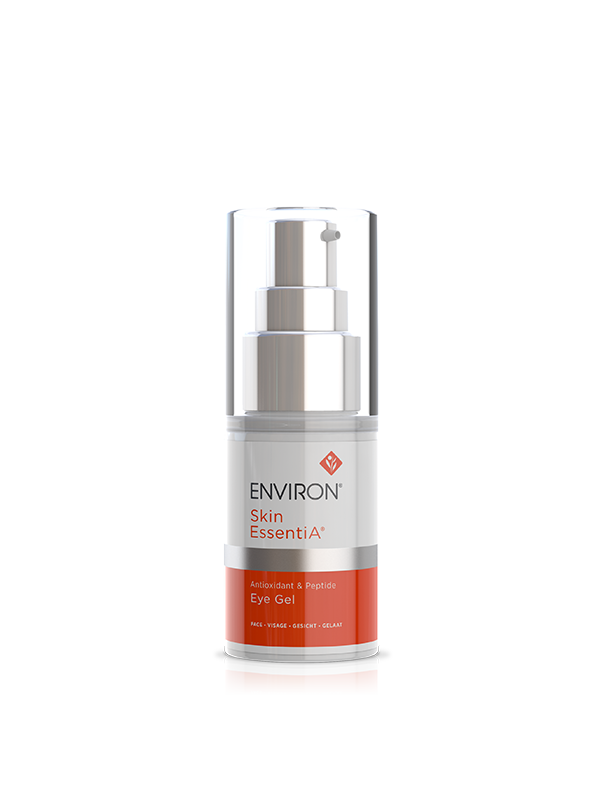 Tocopheryl Acetate (vitamin E) is known to be a free radical scavenger, enhancing the effects of the skin’s natural sun protectors. It also assists in making the skin look younger. 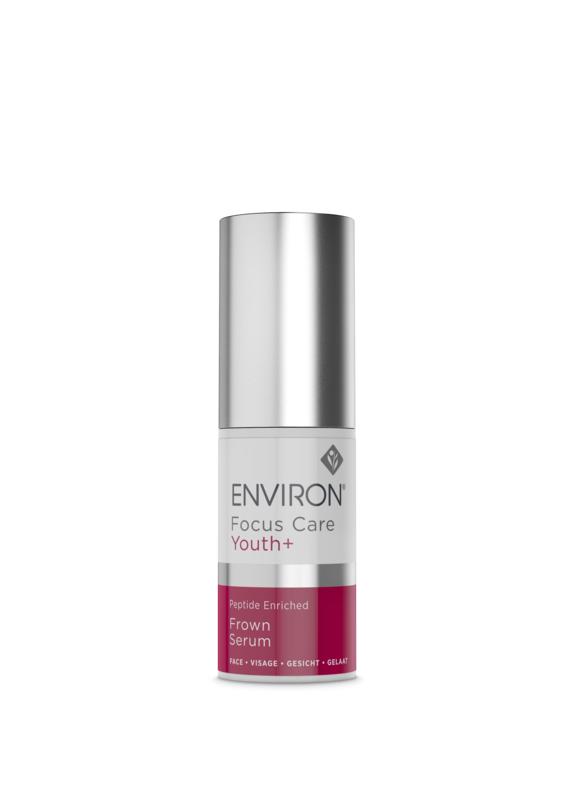 Avance Elixer is a multifunction serum that contains powerful ingredient combinations that may result in skin looking radiantly even and luminous, as well as resiliently younger for longer. 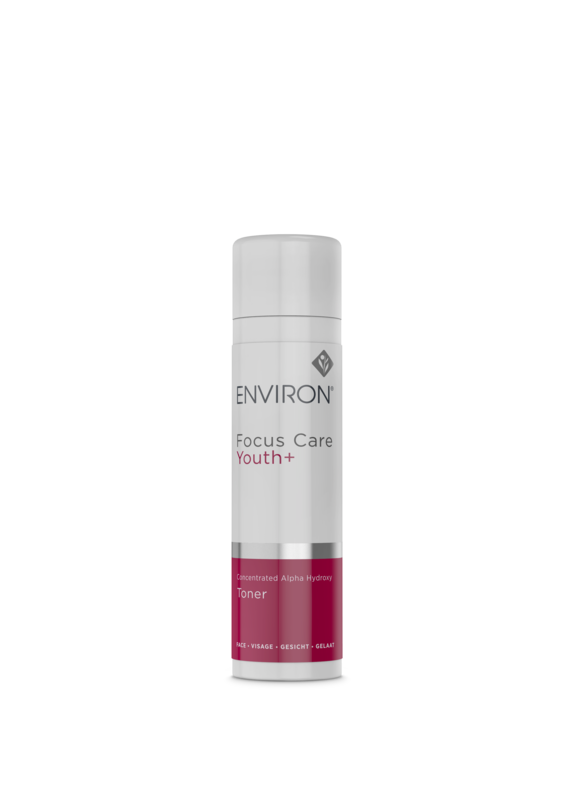 Concentrated Alpha Hydroxy Toner forte contains a high concentration of Alpha Hydroxy Acid and helps to maintain the natural acid mantle, gently exfoliates and helps to reveal a glowing, radiant skin. 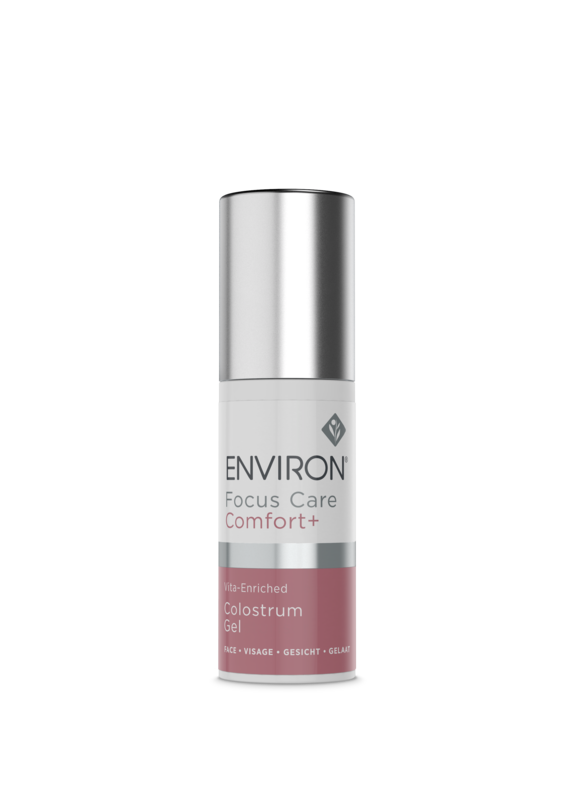 Note: Intense C-Boost may be introduced during any stage of the Vitamin STEP-UP SYSTEM™, provided that the Environ “start low, go slow” philosophy is adhered to. We recommend that consumers with sensitive skins use low doses of vitamin A before introducing Intense C-Boost. 30ml / 1.01 fl oz. 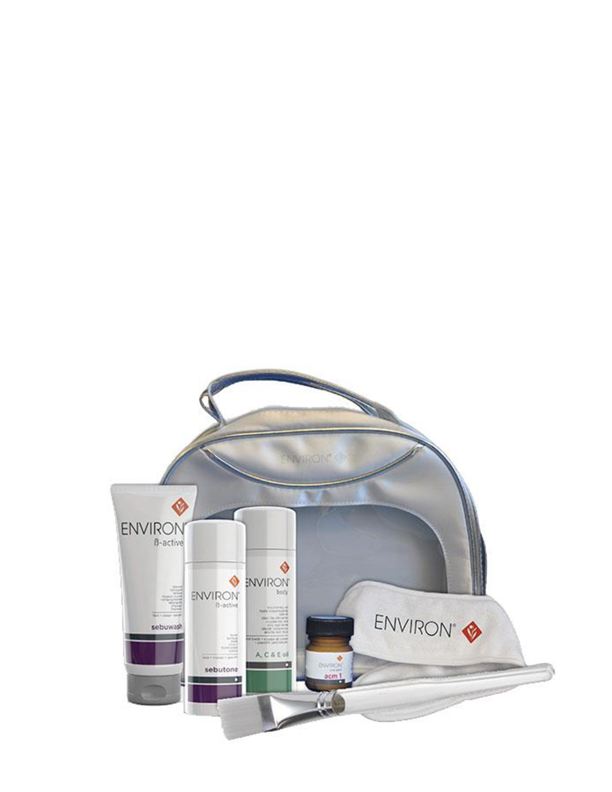 Pre-cleanse, cleanse and tone with your preferred Environ products. 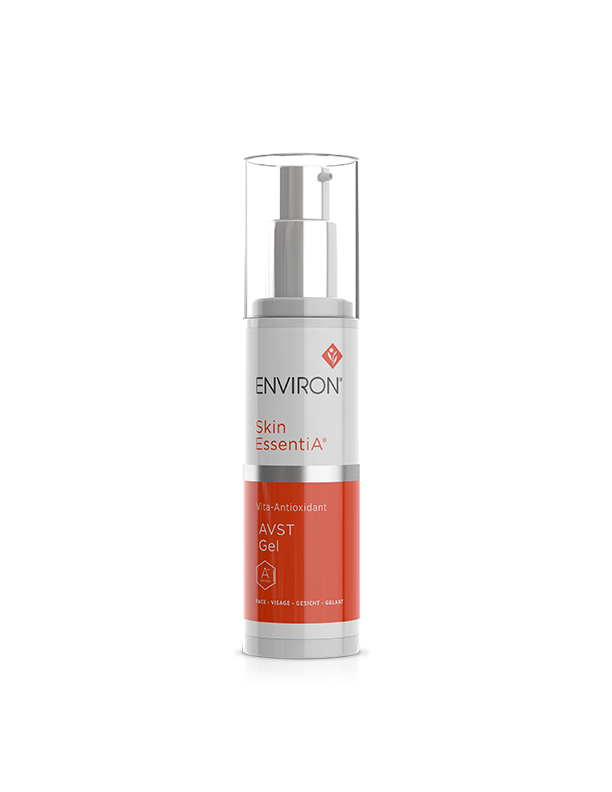 Apply Antioxidant Gel with or followed by your recommended Environ vitamin A moisturiser. Use morning and / or evening. 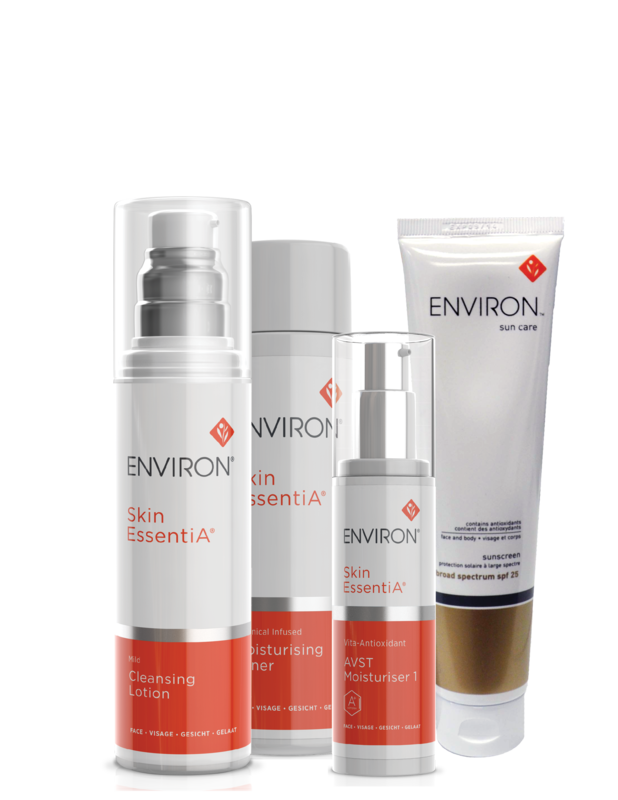 Suitable for all skin types especially sensitive, problematic and dehydrated skin conditions. 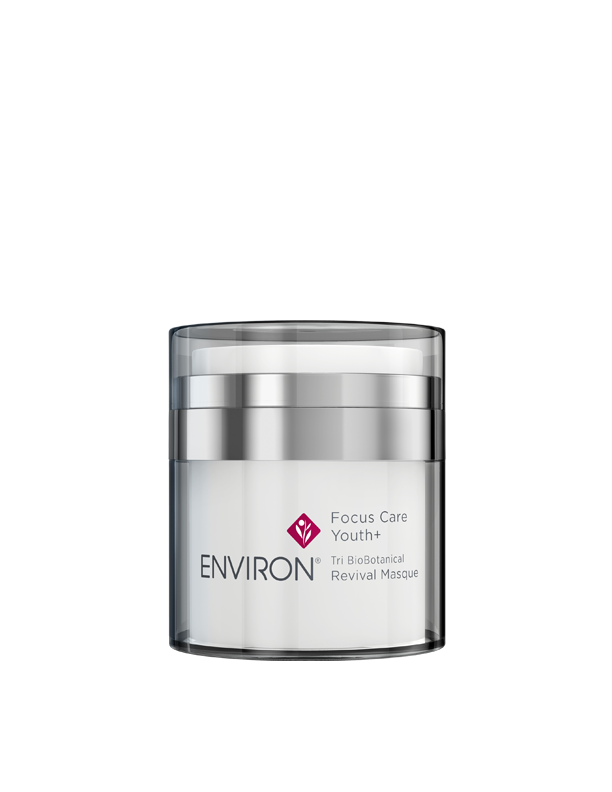 Contains a high concentration of antioxidants that are known to combat free radical damage in the skin. Has a cooling and moisturising effect for sensitive and dry skin. 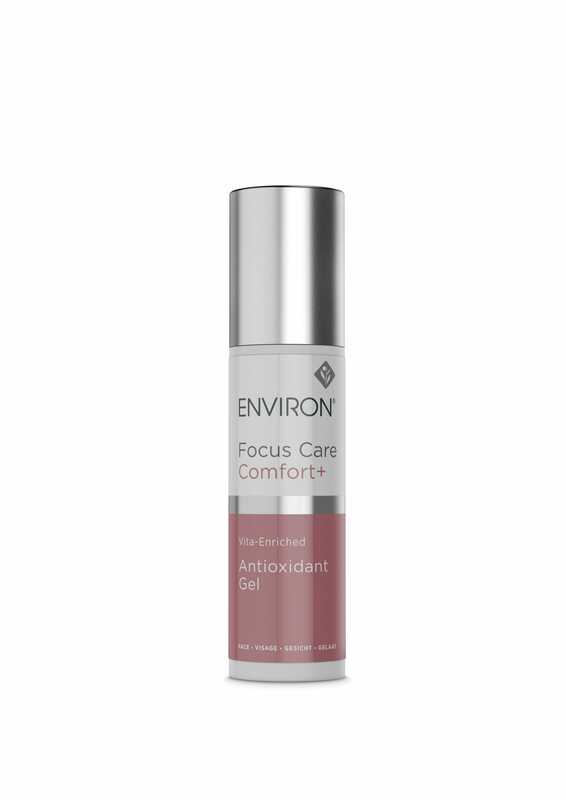 This water-based gel formula contains a blend of antioxidants and moisturizers to assist in defending the skin against free radicals associated with harmful external influences e.g. pollution and excess sun exposure. 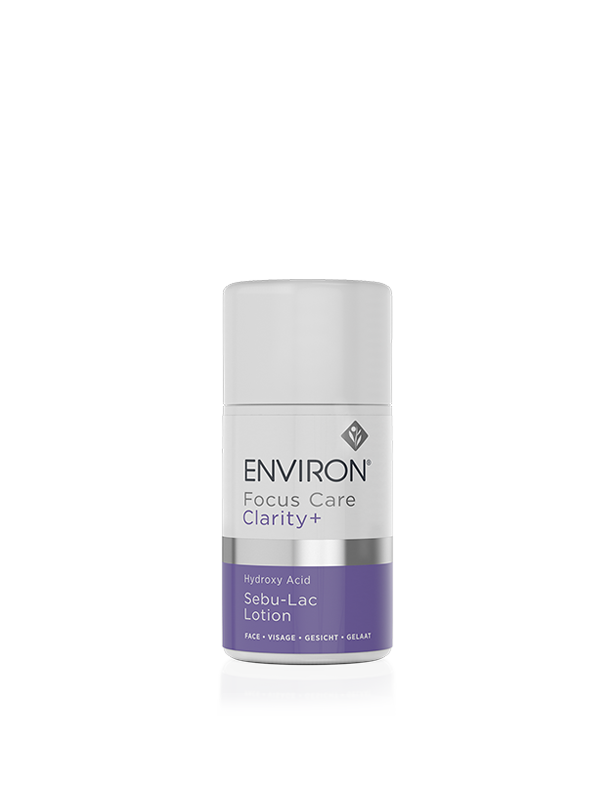 Hydroxy Acid Sebu-Lac Lotion is a non-oily lotion designed to help combat the visible signs of breakouts and to assist in improving the appearance of texture and tone of breakout-prone skin. Containing a special combination of Lactic Acid exfoliators and moisturizers, it leaves the skin feeling softer, smoother and more balanced. WARNING: This product contains an Alpha Hydroxy Acid (AHA) that may increase your skin’s sensitivity to the sun and particularly the possibility of sunburn. Use a sunscreen, wear protective clothing, and limit sun exposure while using this product and for a week afterwards. 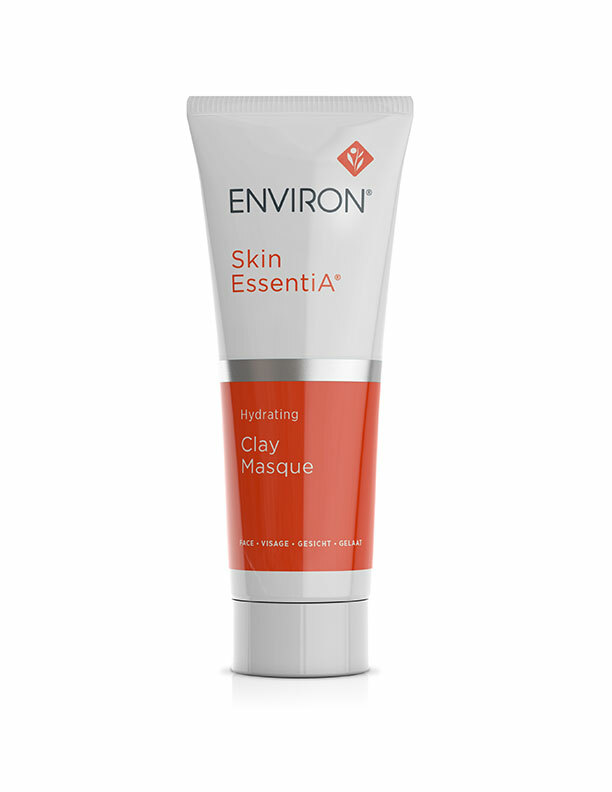 Hydroxy Acid Sebu-Clear Masque is an acid cream mask that contains a combination of exfoliating acids to help clear the appearance of existing breakouts, leaving the skin looking visibly clearer.A light water based gel containing a low concentration of vitamin A, formulated to assist in reducing visible oiliness, leaving the skin feeling soothed and moisturised. 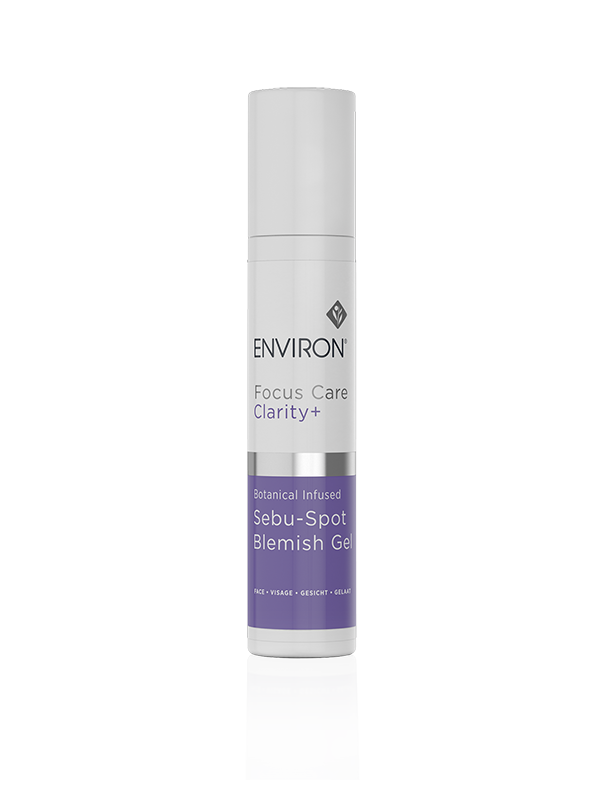 After pre-cleansing, cleansing and toning with your preferred Environ products, apply sebugel A to the face and / or specific target areas. Use morning and evening. The skin feels cool and comfortable. 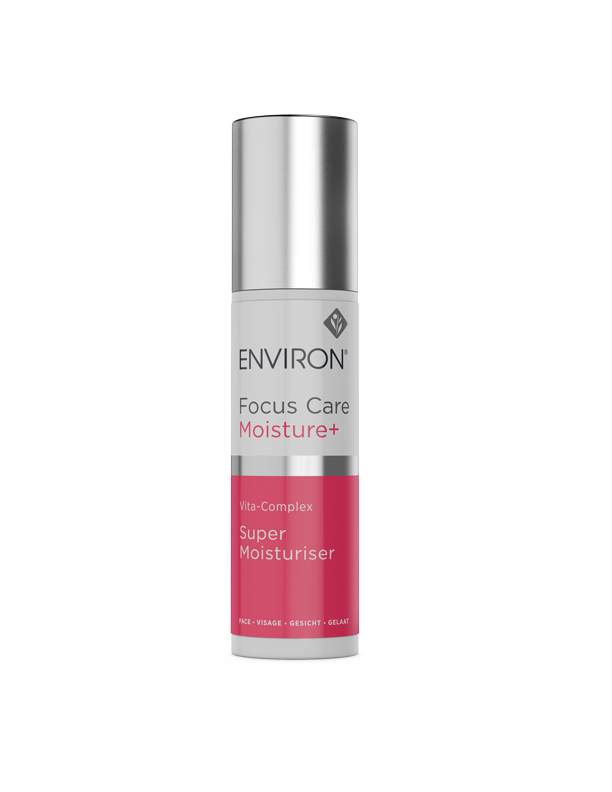 Contains Colostrum that helps to energise and gives the skin a fresh revitalised appearance. Apply sparingly with fingertips or with a cotton bud directly onto blemishes. This gel may be applied all over or to target areas experiencing breakouts and congestion after moisturizing, morning and evening. 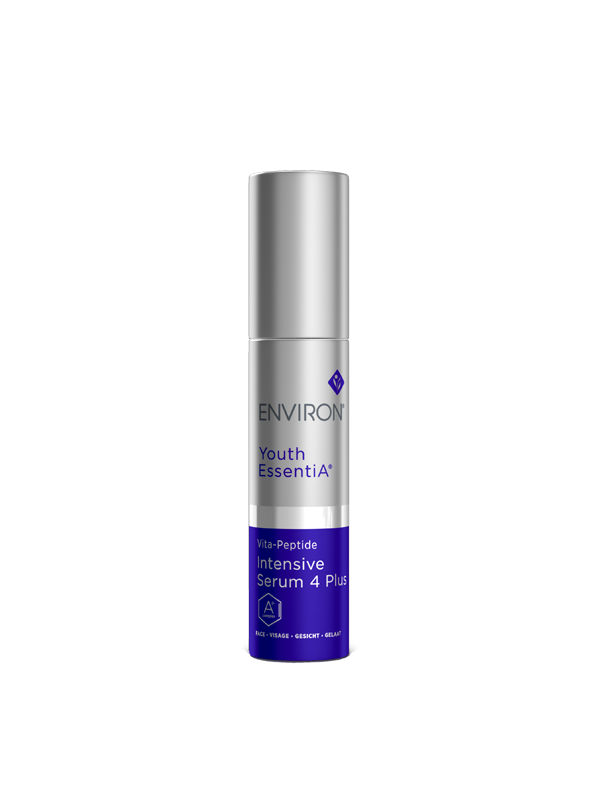 Warning: This product contains a Beta Hydroxy Acid (BHA) that may increase your skin’s sensitivity to the sun and particularly the possibility of sunburn. Use a sunscreen, wear protective clothing, and limit sun exposure while using this product and for a week afterwards. Apply sunscreen SPF 25 in an even layer to the face, neck and décolleté after your preferred Environ vitamin A moisturiser and to all other skin areas exposed to the sun, in the morning. It is recommended to reapply frequently (every 1.5 to 2 hours) to achieve optimal sun protection. 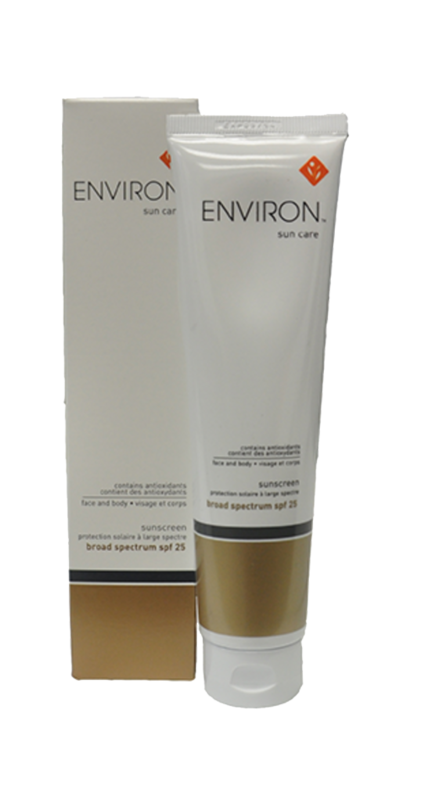 Provides a broad-spectrum transparent barrier with a Sun Protection Factor (SPF) of 25. 1. 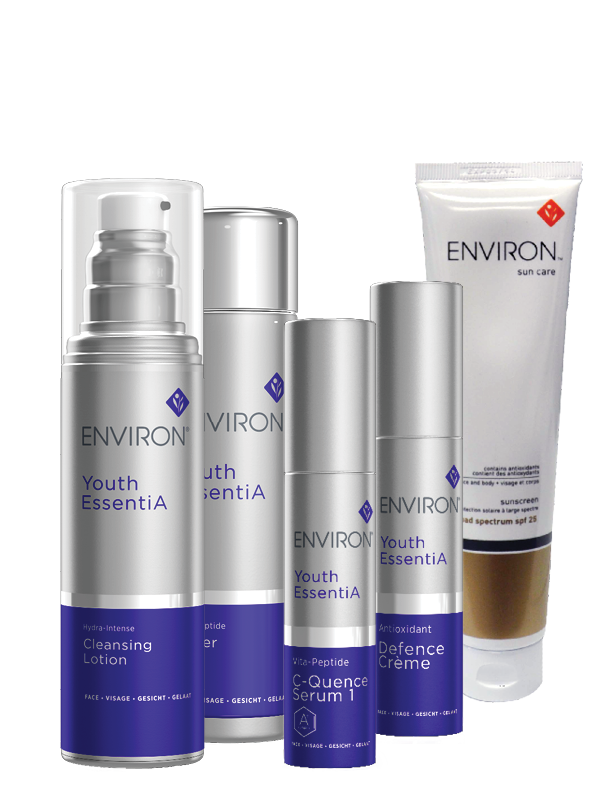 Cleanse the skin in the treatment area thoroughly with your preferred Environ pre-deanser, cleanser and toner. 2. 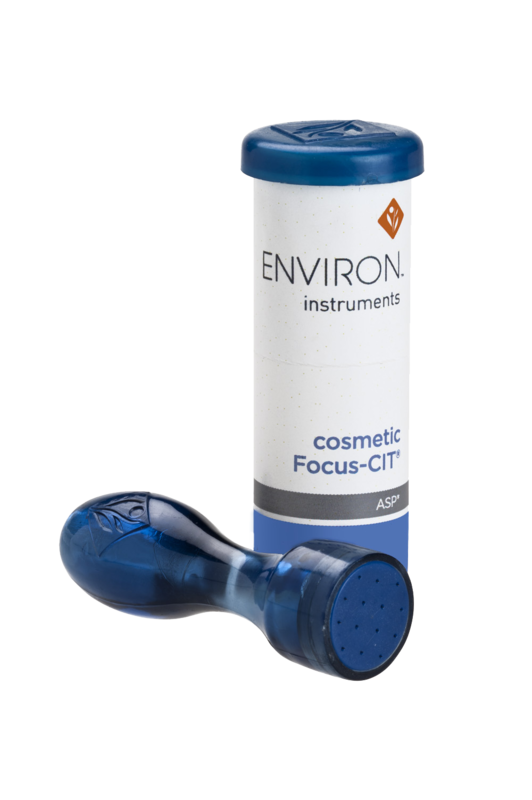 Tap the Environ Focus-CIT firmly onto the skin. You may not feel any sensation but treat in overlapping patterns until the area has been thoroughly treated. One can easily go closer to the eyelashes of the lower eyelid, and treat the recesses of the upper eyelid and the difficult areas at the side of the nose. 3. 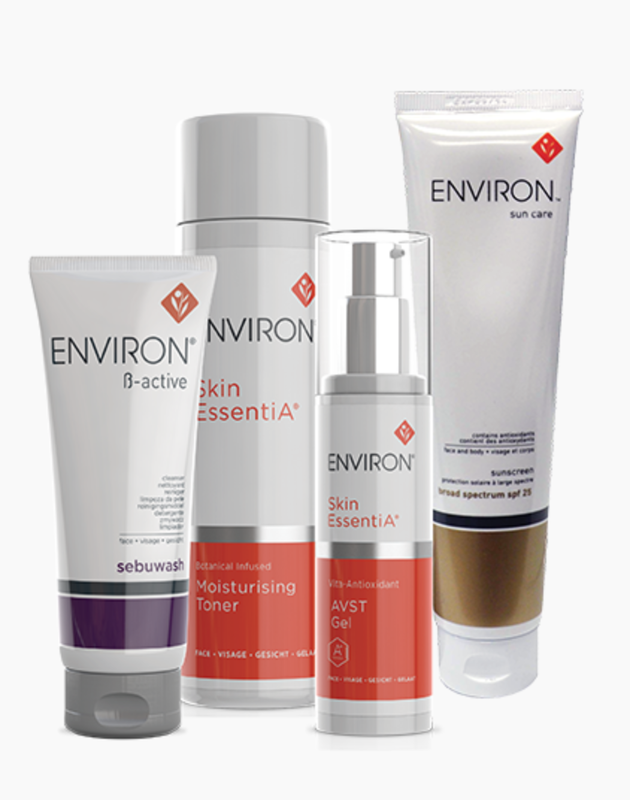 Follow with Environ Skin Care products as recommended to you by your skin care professional. 4. After use, clean your instrument as instructed below. 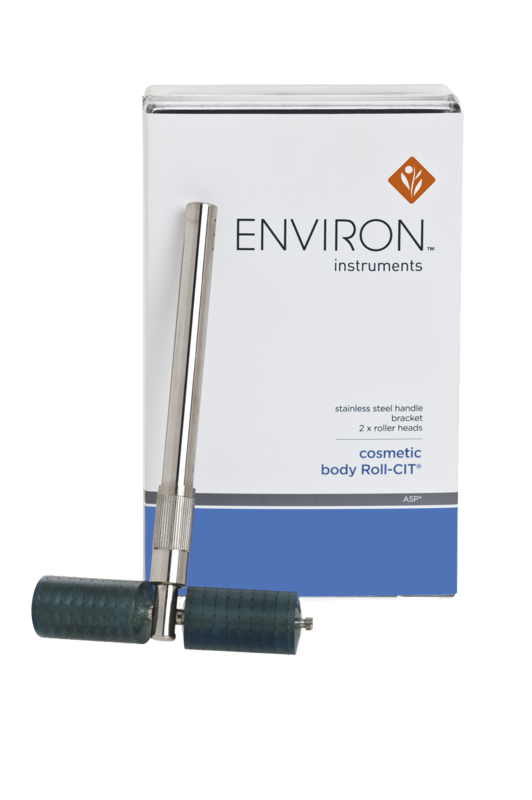 A hand-held rolling device with a smooth action roller head embedded with durable 0.1mm stainless steel micro- needles for use on the face. 2. Start on the forehead and roll vertically. Roll over the forehead and eyebrow area thoroughly. Gradually move across the skin until the forehead has been totally treated about two to five times in a vertical direction. Then roll obliquely at the same intensity covering the same areas and finally roll horizontally, rolling over each area of skin at least two to five times in each direction. The Cosmetic Roll-CIT should be used on the upper eyelid with caution.  Continue to roll until the whole face and neck have been treated thoroughly and evenly. 5. After use, clean your instrument as instructed below. 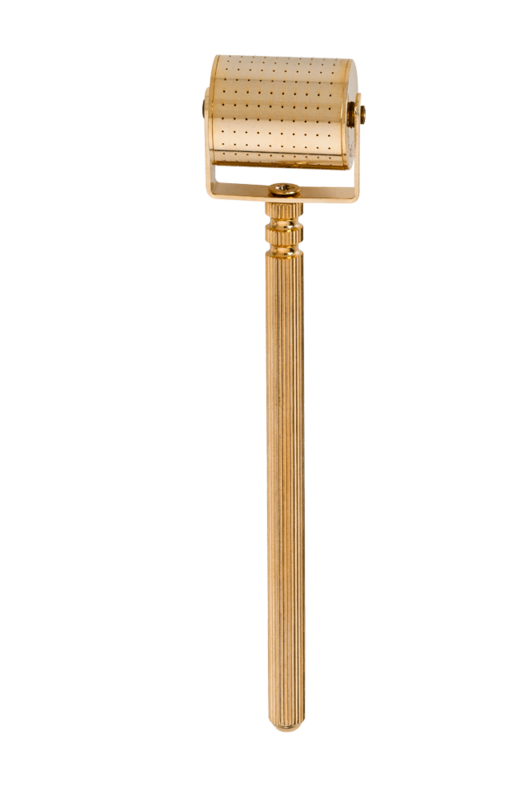 Soak the needling device in the cleaning solution for 10 – 15 minutes, once a week. Rinse well with warm water before using the instrument on the skin. Do not leave rolling instruments immersed in the Cleaning Solution overnight. 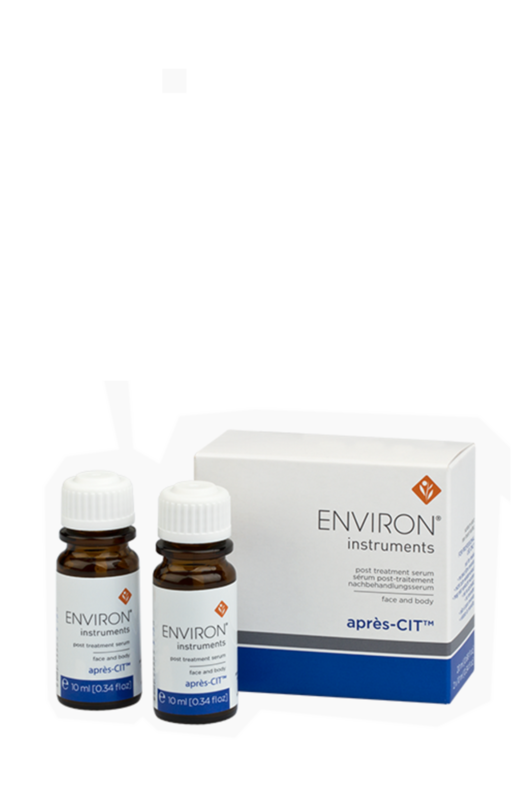 use sonophoresis together with the aprés-CIT serum applied directly onto the treated skin. 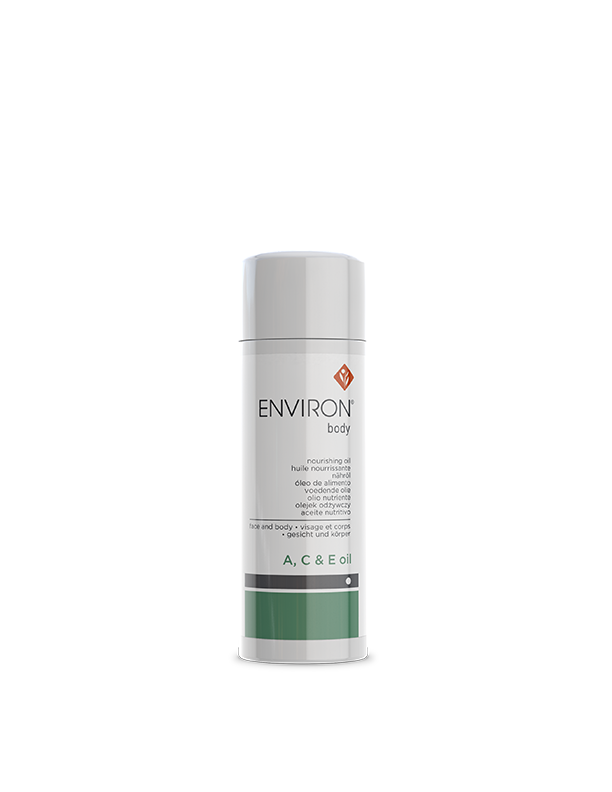 Follow with the Environ vitamin a, c and e body oil or the patient’s preferred Environ skin care regime. 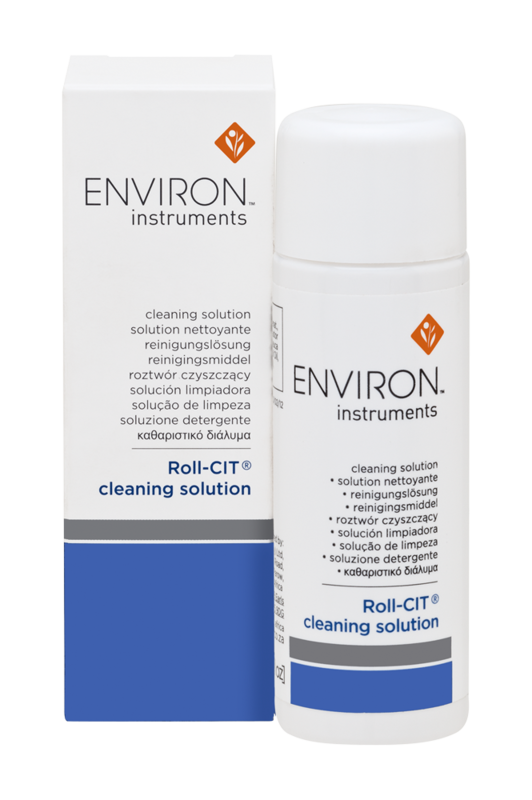 At home the patient should use any remaining aprés-CIT as follows: After cleansing and cosmetic rolling, apply a thin layer of aprés-CIT serum to the skin surface and allow to dry. Follow with your recommended Environ regime containing vitamins A and C. Apply morning and evening until the serum is finished. 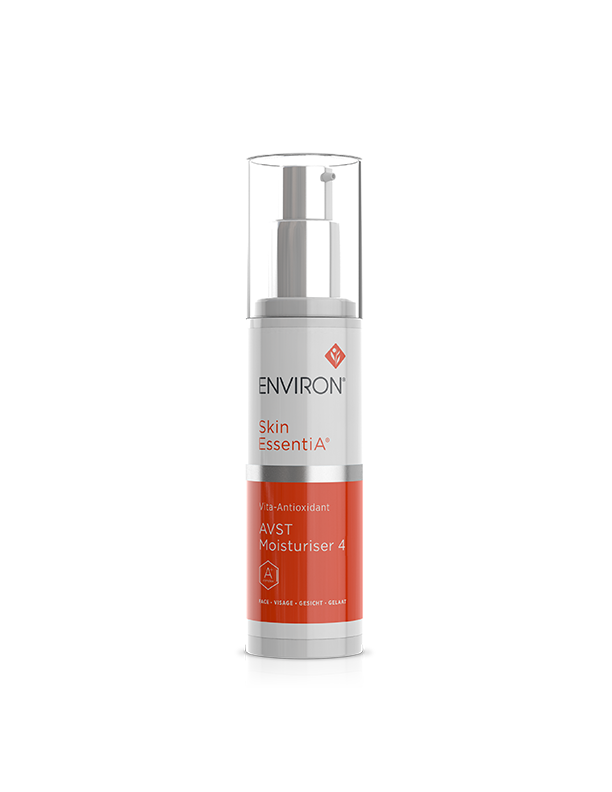 A new sealed bottle should be used for the next and any future treatment sessions which ideally should be done at one week intervals.Environ aprés-CIT can be used on all treated patients regardless of whether or not their skin has been prepared with vitamin A and C.